With its public, real-time nature, Twitter can be an invaluable resource for market research and audience targeting - if you know what you're looking for. 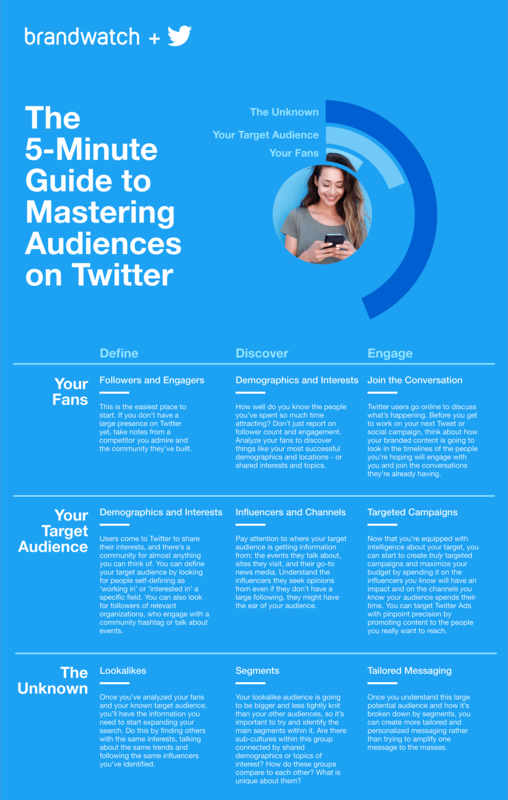 In order to make best use of Twitter to develop effective audience insights, you have to understand which elements are key, what behaviors drive action, and who you subsequently need to connect with. To help with this, Twitter has teamed with Brandwatch to create this simple listing of tips to help you develop more effective Twitter audiences for research and advertising purposes. It's basic, and there's a lot more than can be done from here, but it serves as a helpful starting point for those looking to get a better handle on how to create effective audience sets from Twitter insights.